With the modern world that we all now live in it would be a crying shame to not take advantage of some of the great technology out there to help you lose weight. Whether it’s trying to motivate yourself to work out or control your diet, there is likely to be a gadget to help. Check out below to view some of the best for losing weight. Possibly the most simple and yet satisfying piece of tech available. The pedometer counts the number of steps you take each day, whilst it can also suggest targets for number of steps needed per day to reach a desired weight. There are a huge number of these on the market ranging from apps on your phone to independent pedometers. They’re a great first stop on your way to losing weight. Scales can now be used for more than just measuring your weight. You can now check your body fat content using them which is a great guide to see if your efforts are taking you in the right direction. Seeing your body fat percentage drop is a sure sign indicator that you’re well on your way to living a healthy life. 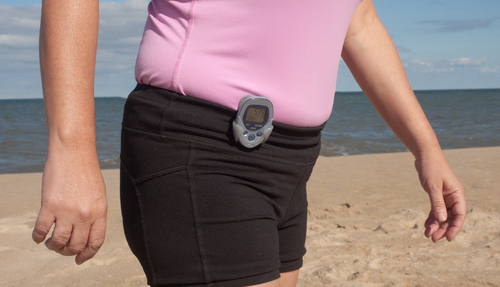 The personal trainer that you can carry in your pocket which is another Helpful Gadgets to aid your fast weight loss. Exercise regime apps are a brilliant way to build yourself up, you can set goals and targets and the app will create a series of workouts for you to best achieve these desired outcomes. From starting off at an easy pace, growing until you’re doing a full blow workout each time, this is a fantastic way of easing yourself into being an exercise regular. Walk or Run mapping tools. There are a few sites now which offer this service for free. You can design a walk or running route beforehand and see the distance travelled and expected calorie burn, or you can link it up to your smart phone and then go. The GPS will track you and once you get back home you will be able to review your route and see how far you went. You can also connect with friends and see each others achievements which is a great motivator for going out for another run. Sometimes knowing when to stop can be difficult. Calorie counting apps are essentially food diaries where you log what you have eaten so far today and they will tell you the amount of calories you have left for the day. You can set long term weight targets so that the app will set a calorie limit to help you make your target. It also keeps track of the amount of fat and protein as well as other nutrients and vitamins you have eaten so as to give you a clear image of whether or not your diet is healthy and balanced. These are just a few Helpful Gadgets to aid your fast weight loss. If you’re still struggling to lose weight then you should consider our hypnotic gastric band. If you need some convincing then check out some of our virtual gastric band reviews from happy and satisfied customers. In the virtual gastric band reviews below, Sheila talks about her new way of life after her treatment with GMBand. For more virtual gastric band reviews, check out our YouTube channel here. If you are looking for ways to Smash Your Weight Loss Goals Without Crash Dieting, download our free guide, which has loads of useful tips and helpful pointers to help you do just that! Simply click on the button below to download your free copy now! Hope you enjoyed our selection of Helpful Gadgets to aid your fast weight loss.